When my bride came to me with her color palette and venue location, I knew she had exquisite taste and this suite was going to be a dream. 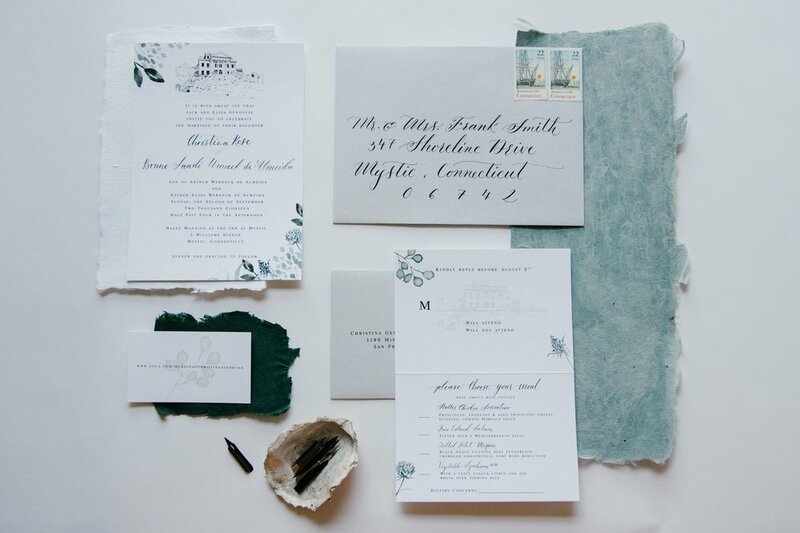 With her blues and greens and the natural elements and elegance, I was so drawn to that coastal feel. I was starting to feel the saltwater breeze in my mind. I knew I wanted to create something that spun that all together. Enter, beautiful architecture that begs to be illustrated, flowers and leaves in ocean blues and greens, and classic calligraphy. Being a east coast native myself, I have these amazing memories of Mystic, Connecticut. I really wanted to include that some how in this suite. The Inn at Mystic, had to be included. Had to get those beach colors for the right feel and blend. I usually rough draft my couples names about, one thousand times. I love to play with styles and bounce back and forth between pointed pen calligraphy and watercolor brush lettering. This suite also included maybe one of my favorite pieces (it's so hard to pick! 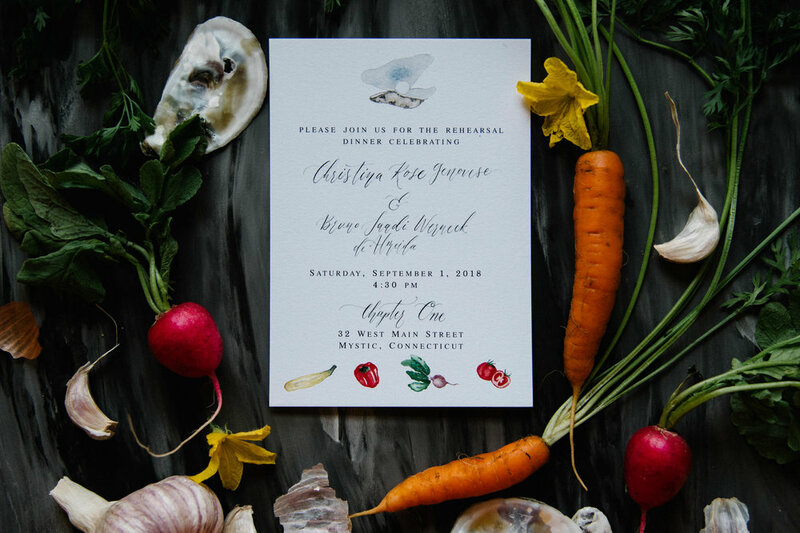 ), this rehearsal dinner invite! I love those little foodie details! Honestly so much fun working on this one and with this couple. I'm still taking photos of everything and can not wait to get started on the day of pieces!